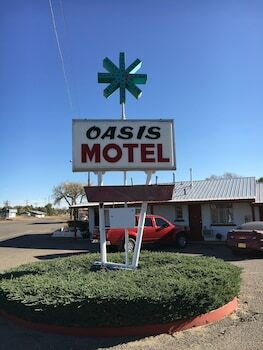 With a stay at Kim's Oasis Motel in Springer, you'll be within a 10-minute walk of Santa Fe Trail Museum and Springer Park and Pool. The front desk is staffed during limited hours. Free self parking is available onsite. Located in Cimarron, Casa del Gavilan Historic Inn is in the mountains, within a 15-minute drive of Philmont Museum and Aztec Mill Museum. Free self parking is available onsite. Located in Raton, Casa Lemus Inn & Restaurant is in a rural location, within a 5-minute drive of The Raton Museum and Shuler Theater. Free self parking is available onsite. Located in Raton, Travel Motel Raton is within a 5-minute drive of The Raton Museum and Shuler Theater. Free self parking is available onsite. A stay at Budget Host Raton places you in the heart of Raton, within a 10-minute walk of Shuler Theater and The Raton Museum. Free self parking is available onsite. This condo offers accommodations throughout the area in Angel Fire. Free self parking is available onsite.